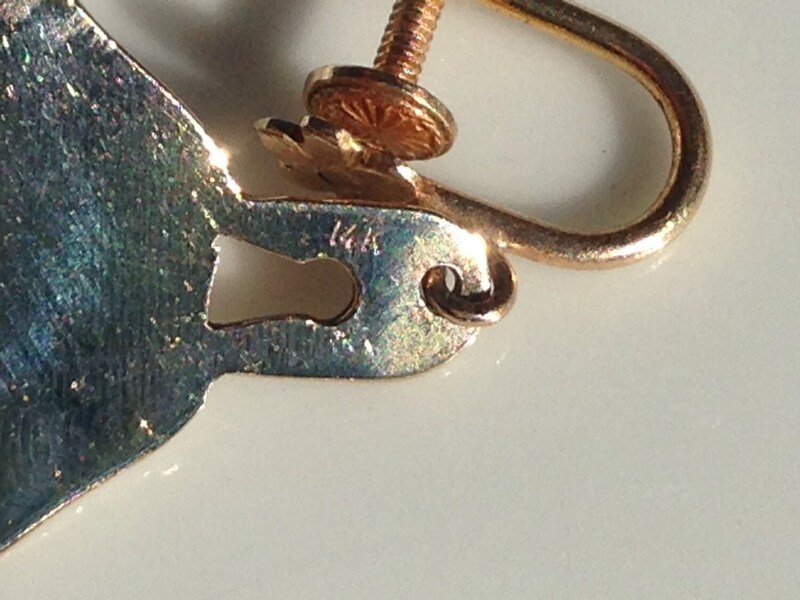 Simple and classically refined styling with a nearly Persian motif and keyhole. 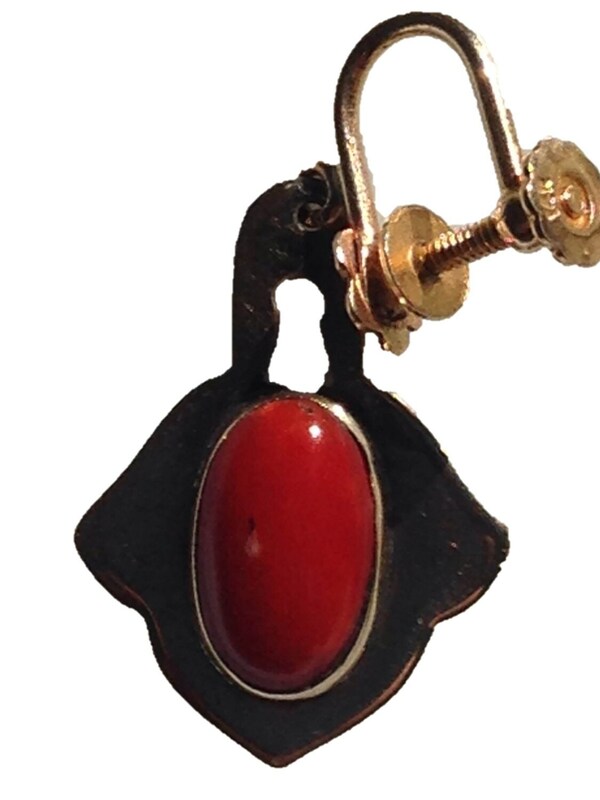 Perfectly sized as shown to be your every day earrings (18mm x 25mm without the screw back). 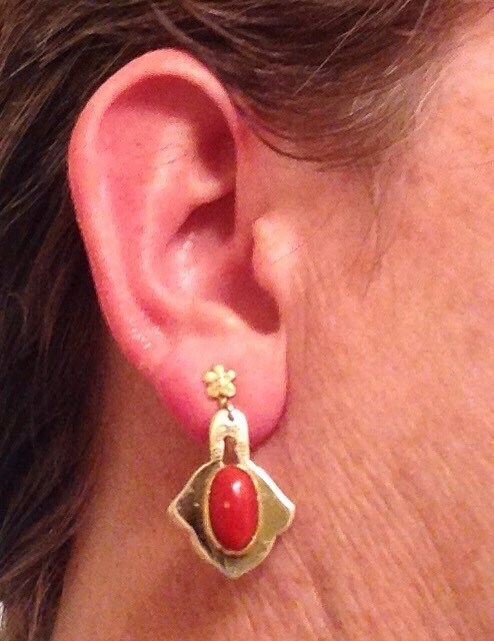 These simple gold earrings are set with finely polished natural red coral cabochons (8mm x 13mm cabochons). 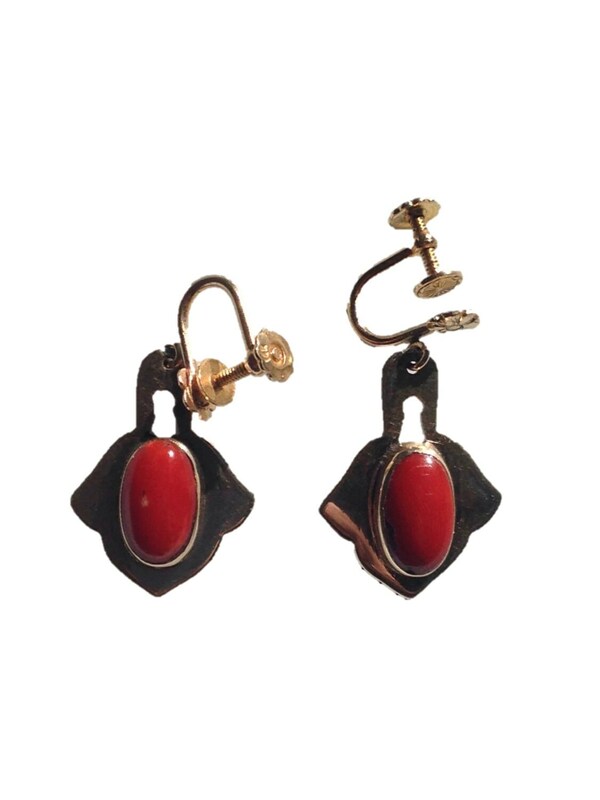 Condition is excellent with normal patina for an antique item. 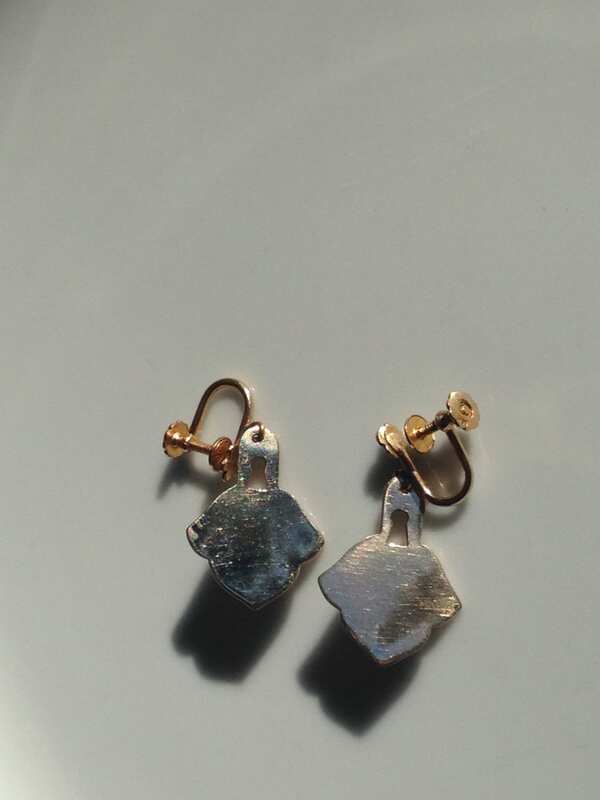 Stamped 14K on earring screwback and on body of earring. Weight is a solid 8.3 grams for the pair. If you want a different back on this, convo. We can customize them with a new hanger or pin.